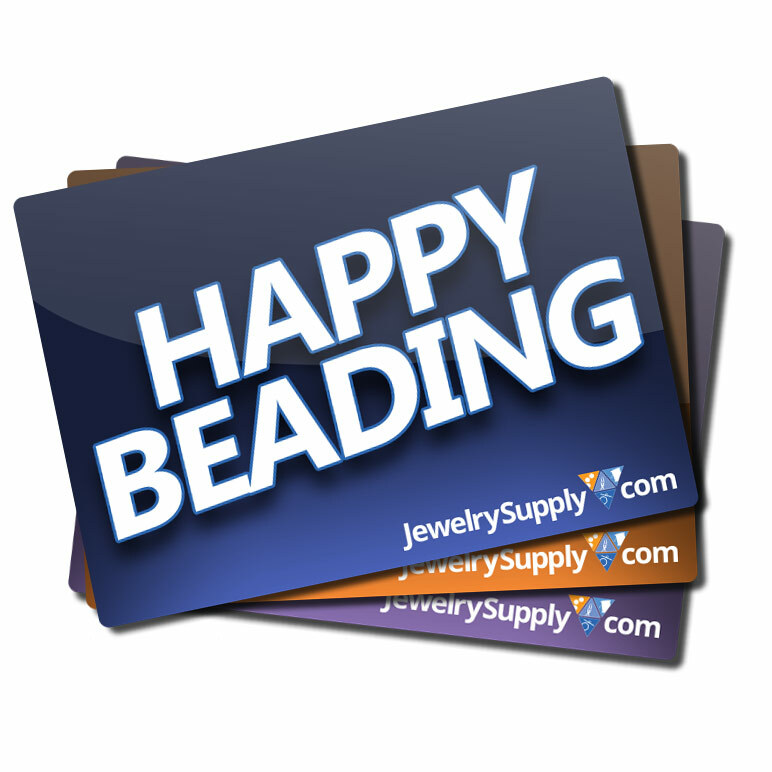 Jewelry Supply Gift Certificates are a great gift idea for anyone interested in beading, crafts or jewelry. Just choose your gift amount, enter the recipient's name, your name and enter the recipient's e-mail address in the space provided. If you would like to save the gift card for later, you can leave the e-mail address blank, and the gift certificate will be sent to the e-mail address associated with your account. Q: If I order a gift card then it gets emailed to me? I can print it off and give as a gift? 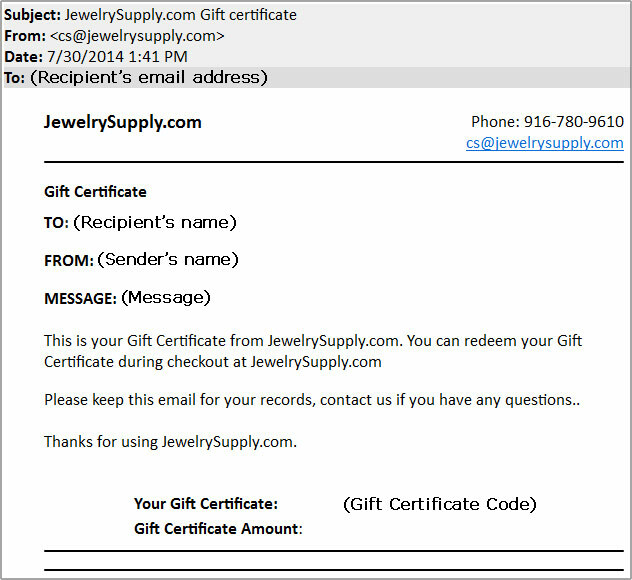 A: Our Digital Gift Certificates are delivered directly to your, or someone special's email address. Digital Gift Certificates are redeemable immediately via a code provided in this email, and can easily be used to create beautiful homemade certificates!